garrettstrobel.com – Techno Shamanism and augmenting human empathy pt 1. Home › musings › Techno Shamanism and augmenting human empathy pt 1. Techno Shamanism and augmenting human empathy pt 1. “The future has already arrived. It’s just not evenly distributed yet.” The quote is by William Gibson the visionary science fiction author of Neuromancer. This statement captures the essence of what is at stake here in the digital age. If Ray Kurzweil’s presupposition of “The Law of Accelerating Returns” holds true and technological progress is increasing exponentially rather than linearly than the next few decades will not only see great technical achievement but the very redefinition of what it means to be human. Ever since proto-man began flint knapping hand axes millions of years ago human-kind has been inexorably intertwined with technology. Our ability to shape the world to our choosing is what has allowed humanity to inhabit every landmass on earth. For millennia the lens of technology has been used to sculpt the exterior world, now for the first time in human history the lens is being turned inward as we alter our very selves. Every day new breakthroughs are being published in the realms of genomics, robotics, nano-technology, quantum computing, etc… that we don’t even bat an eyelash at achievements that would have been unthinkable 20 years ago. 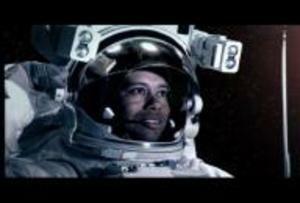 Once the stuff of science fiction is now becoming common place. In 2008 Junichi Ushiba and his colleagues at Keio university, using brian-computer interface technology, developed a way for people to control their avatars in the three dimensional world of second life via thought alone. Brain-computer interfaces can already do far more than just allow us to control characters in second life. In December 2009 Italian amputee Pierpaolo Petruzziello received a robotic hand that he could not only control with his mind but that he could feel and receive feedback from as well. Combine this technology with the video that’s been circulating the web of Ishikawa Komuro Lab’s high-speed robotic hand, capable of pitching a baseball or dribbling a basketball exorbitantly faster and more accurately than a human hand, and things really start to get interesting. The military, not to be out done, is investing heavily in new technologies of human augmentation in their never ending quest for the perfect killing machine. 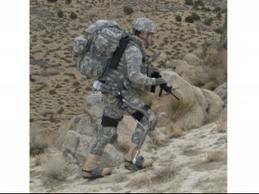 A 2009 blue-ribbon committee of the National Academy of Sciences is recommending that the Army expand its research into how a soldier’s brain, blood and nerves work so it can develop futuristic applications that can increase performance in combat. The study describes one application of augmented reality, to provide a virtual overlay associated with the trigger of a soldier’s weapon, which provides a sensory feedback when it locks on a target identified as a foe. The soldier can be trained so that he pulls the trigger withoutthinking, “decreasing the time between acquiring and engaging the target,” . In addition military defense contractors such as Lockheed Martin have unveiled recent advances in human-robotic interfaces such as their 2009 presentation of the HULC or human universal load carrier (you got to love a good acronym) which is a robotic anthropomorphic exoskeleton. An onboard micro-computer senses the user’s actions and ensures the exoskeleton moves in concert with the operator enabling the user to easily lift over 200 pounds. We are seeing voluntary enhancements and augmentation to normal human performance even in the mainstream such as pro athletes like the golfer Tiger Woods or the MLB pitcher Mark Henderson undergoing elective Lasik surgery to improve their vision beyond that of normal 20/20. Woods was already seeing 20/20 with contact aided vision but after the procedure improved his vision to 20/10 he won five straight tournaments. Already humans with prostheses composed of advanced materials are outperforming their non-augmented counterparts. On January first 2010 Amy Palmiero-Winters was the first woman with a prosthethic leg to place first overall (men and women) in a competitive running competition. She outran the second place finisher in the 24-hour ultramarathon by a whopping 36 miles. The Italian runner, Oscar Pistorius, a double amputee with two specialized prosthetic legs, was blocked from competeing in the 2008 Bejing Olympics after the International Association of Athletic Federations (IAAF) introduced a rule banning competitors that were deemed to benefit from artificial help in competing. It was determined that Pistorius’s legs were able to move through the air fast than that of an “able-bodied” athlete. One spokesman for the IAAF claimed they did not pass the new rule to discriminate against the “disabled” but that “The point here is what’s going to happen in 10 years? What happens if it continues to evolve?” Very good question. Obviously these runners did not choose to be amputees. 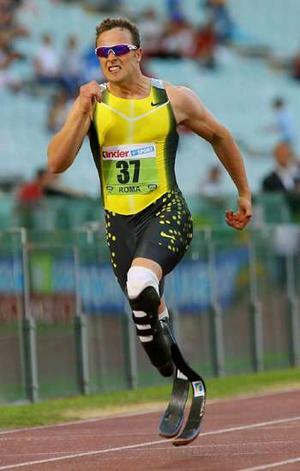 However, it is not too much a stretch of the imagination to see how in the near future, advancements in the speed, utility and more importantly the aesthetics of the prosthesis will become so sufficiently overwhelming that an “able bodied” human athlete would willingly swap out their biological legs they were born with for the chance to be as fast as a cheetah. Enhancements and augmentation abound, with these previous paragraphs being a slim survey of what’s already happened. To take current technologies and advancements that are in the pipeline and try to imagine the future is staggering, almost anything seems possible. Sherry Turkle an MIT psychologist believes that AI and robots will reach a point in which we will prefer to spend our time with robotic counterparts over our human relationships. Techno-determinist forecasters such as Ray Kurzweil believes that in the near future we will be able to scan our brains and reconstruct our personalities digitally, living forever, encased in silicone. It’s hard to say what will really happen, as I find people in the sciences and technology sector put a lot of blind faith in progress. Automatically assuming that technology will set us free, they scoff at religious individuals seeking immortality for their soul while they clamor for the “singularity” with the same fervor as a zealot. However, if progress is to continue at the accelerating rate that it is today it is almost inevitable that future generations, through technological augmentation, will be much smarter, stronger, and longer lived than we can imagine today.